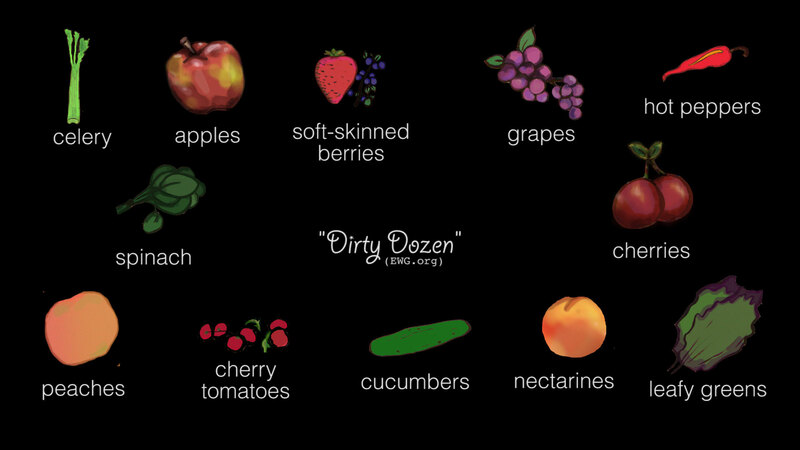 Every year the Environmental Working Group publishes a list of fruits and vegetables to avoid because of their high levels of pesticides as well as a list of safer options. 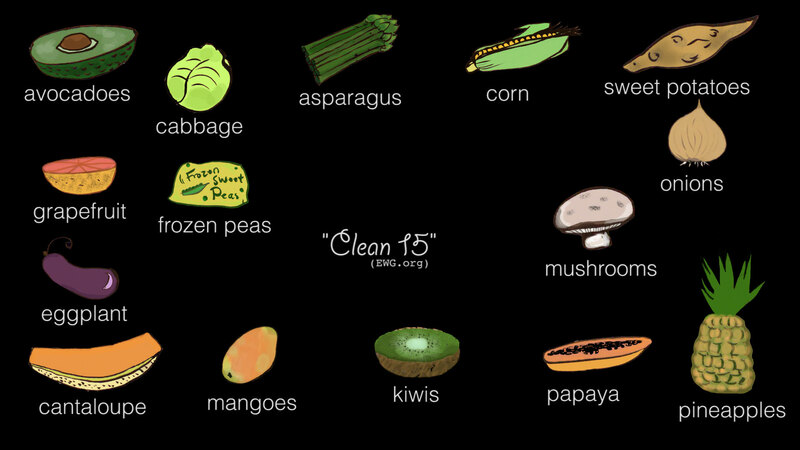 The twelve worst foods on the EWG list absorb the highest levels of pesticides and should be replaced with organic versions or other choices. The fifteen safest choices are the least likely to contain dangerous levels of pesticides.